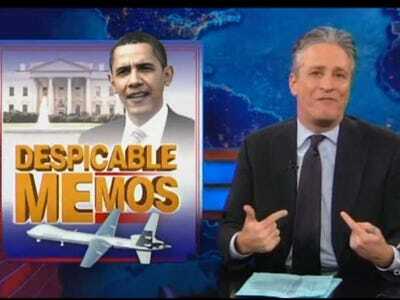 The Daily Show’s Jon Stewart attacked President Barack Obama for what he said was a broken promise on being more transparent about his administration’s drone program. Stewart criticised Obama for disappearing in less than two weeks on pledges of transparency from his State of the Union speech. He addressed how some Democratic Senators have “pulled out all the stops” to potentially delay John Brennan’s confirmation as CIA Director over the drone program, including its legal justifications for targeted killings of American citizens abroad. Stewart contrasted how the White House has dismissed the importance of Benghazi-related information requested by Republicans blocking Secretary of defence Chuck Hagel’s confirmation with how important it seems to view the information requested on drones. Stewart thought that with Obama’s pledge of “transparency” during the State of the Union, it was clear what he would do next: Release the information on drones.